Project 52 assignment was 8-10 pictures about Christmas. 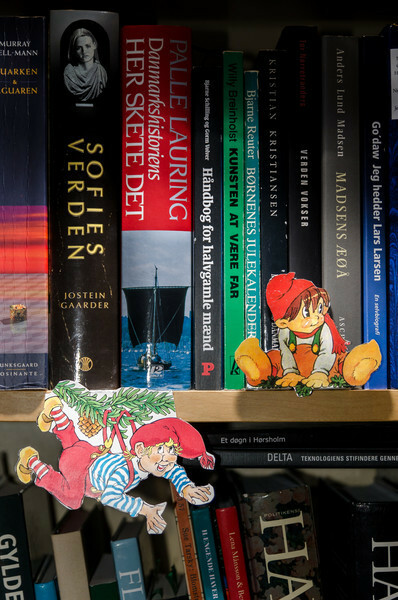 I decided to do my series over the things about a Danish Christmas that are different from the Christmases I remember when I was growing up in the USA. 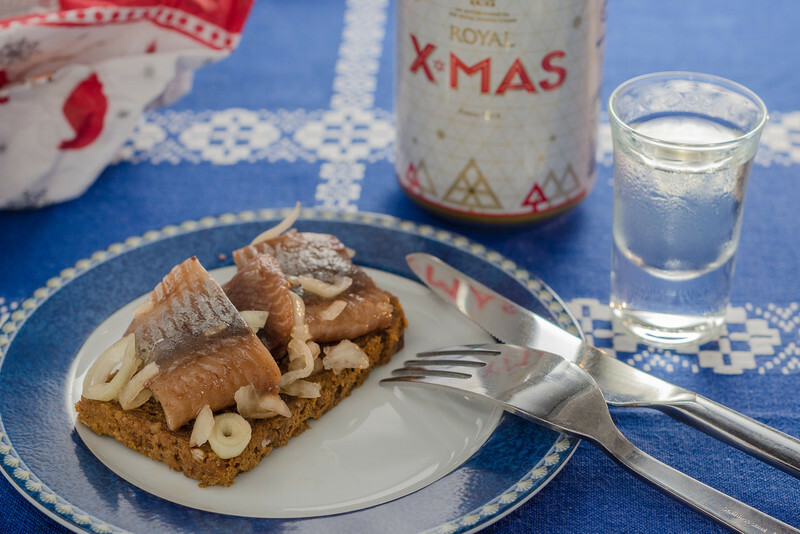 Pickled herring, Christmas beer and snaps - I have never been a big fish eater, but I must admit that pickled herring is actually pretty good. A very traditional part of a Danish Christmas lunch. 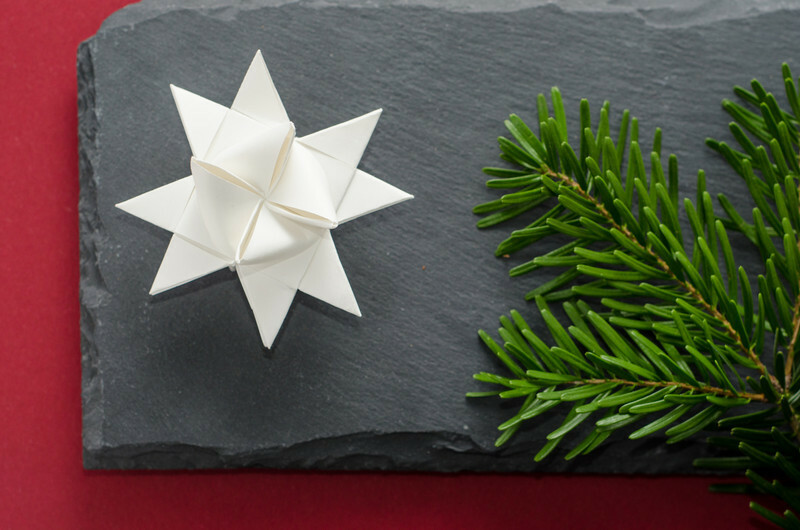 Folded paper stars - These stars are folded from four strips of paper. They are really pretty, but I just don't have the patience to fold them! I leave that to the kids! 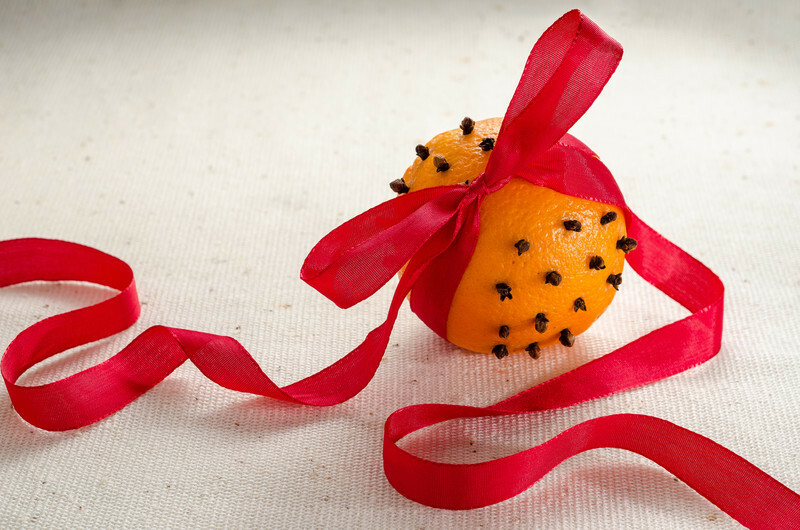 Woven paper heart - Very traditional, home-made Christmas tree decoration...normally filled with candy. 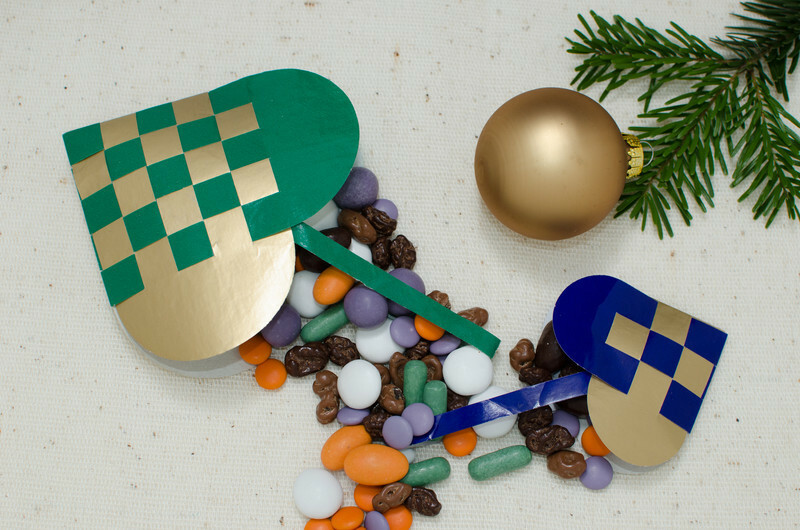 In our family, we have a tradition of filling it with "Bridge Mix". Mmmm! 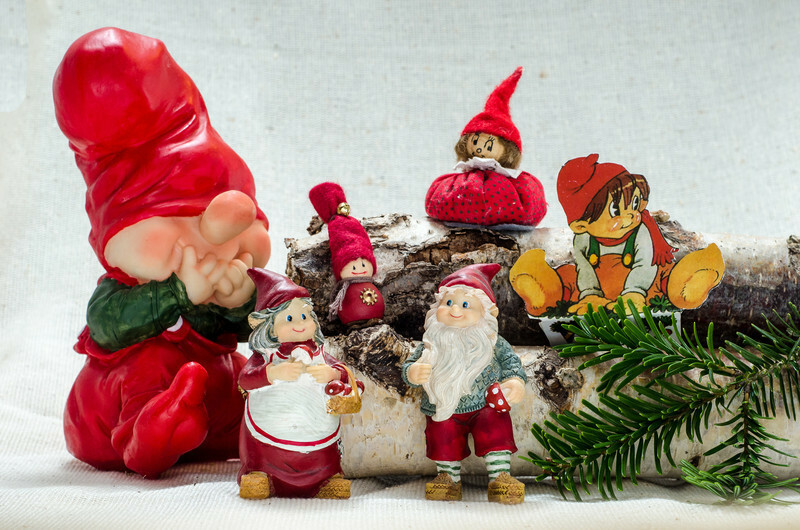 Elves and gnomes in all shapes and sizes! 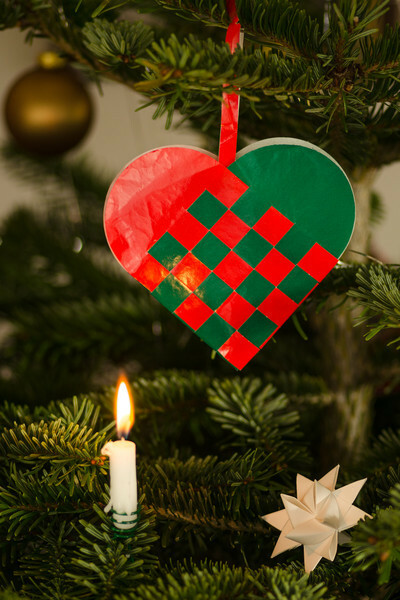 Woven paper hearts and the paper stars are more than often home-made and a very traditional Christmas tree decoration. You will also notice that the tree is real and that we use candles instead of electric lights. 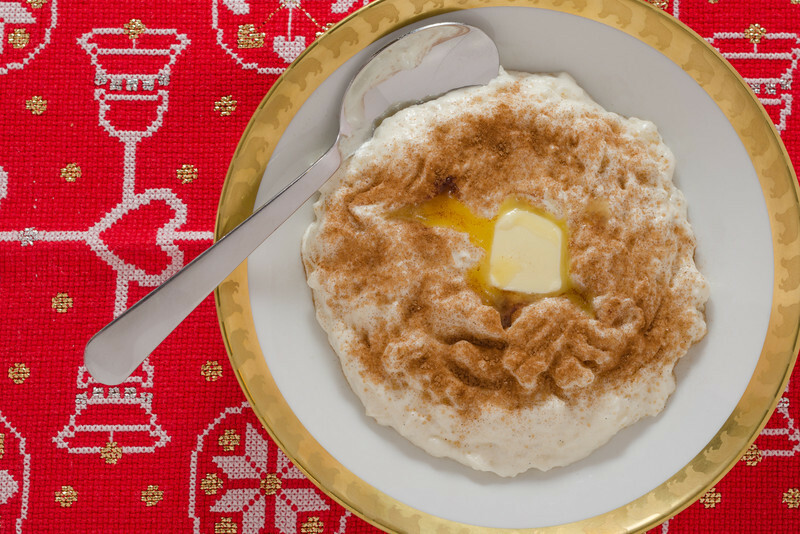 Rice porridge (risengrød) with butter and cinnammon sugar! A very typical Danish Christmas meal. Often served with a sweet, dark, non-alcoholic beer, cordial or juice. Elves are supposedly very fond of this! 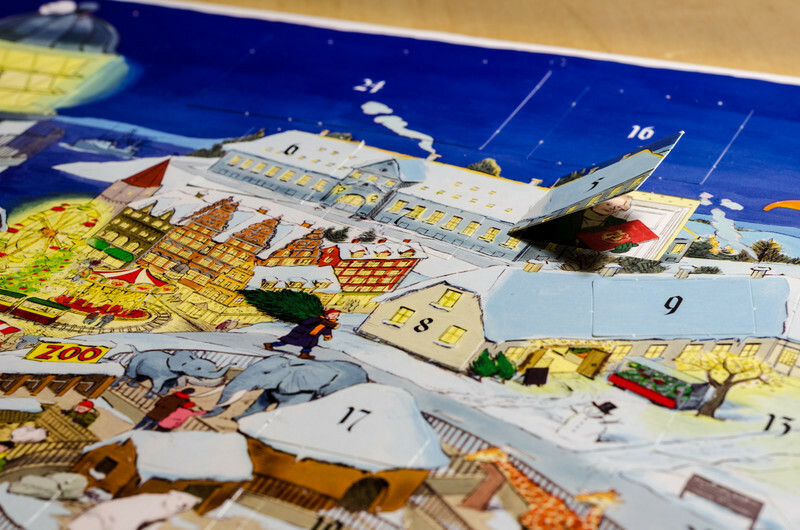 24-day Christmas calendar - Paper count-down calendar with little windows that are to be opened, one each day from December 1st to December 24th. The national TV channels always have a Christmas series for kids, with one episode each day. This particular calendar has a picture behind each window that has to do with that evening's episode.